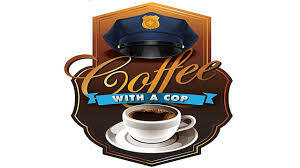 Have Coffee with a Cop this morning! This morning you can take your coffee with cream, sugar — and a cop! Coffee with a Cop, an informal chance to visit with Ponca City Police officers, is set up at the Pioneer Technology Center, in Room B127, and at the Alliance Medical Office building at 1908 North 14th, in the downstairs Conference room, from 7 to 9 a.m. This is the third year that the Ponca City Police Department has done such an event. The locations have changed over time to encourage attendance. This opportunity allows citizens to ask questions of officers or make suggestions in a neutral setting. A huge thanks to Chris Mendoza of Alliance of Ponca City and to Traci Thorp of Pioneer Technology for hosting Coffee with a Cop.